We all love us some good chalk paint. Most of it is eco-friendly and some are even all natural. You can paint inside because the paint is washable until sealed and has no strong odor. It’s easy to distress and effortlessly gives you that shabby chic look you want. And, you don’t have to sand or prime. Or do you? The truth about chalk paint is that the no-prep promise is a myth. If you’re buying old, used furniture, you can bet it has a history. Sometimes, that history likes to make its mark by rising to the surface and bleeding through the paint. 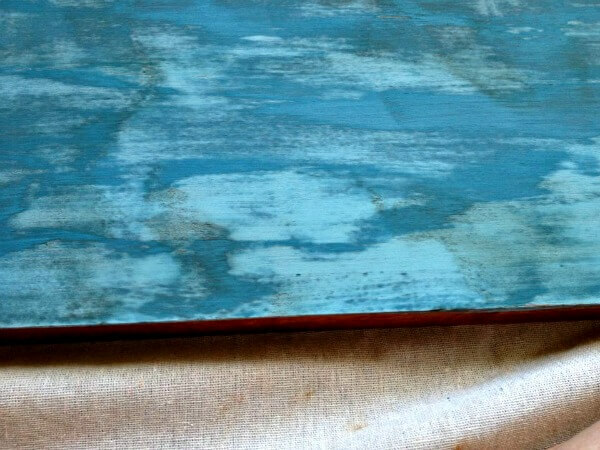 BTW, chalk paint WILL NOT cover raised water marks…if it’s raised enough you can see it before the paint, the texture is going to show through after you paint it. But, what I want to talk to you guys about today is the stains. Let me show you what I’m talking about. Here is the before picture of the coffee table I started working on yesterday. I had already sanded it down a bit because it had some raised marks. 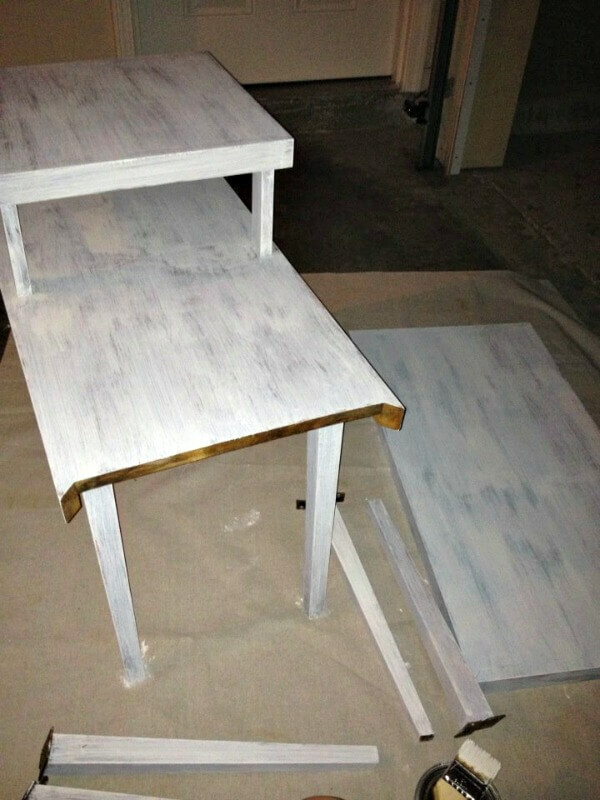 And this is what it looked like after 1 coat of chalk paint. Um…yuck. That look was not going to work for me. So I checked with a couple resources, one being my mom, and decided I was just going to have to approach this the old fashioned way. 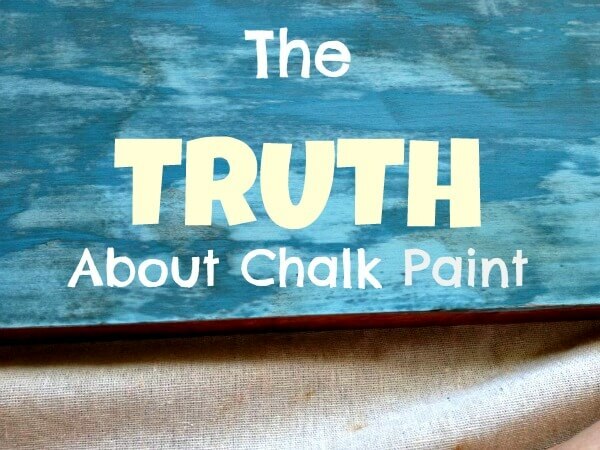 The truth about chalk paint is that sometimes there is just no way around it. Even if I did apply enough layers of paint to cover those stains, eventually it would seep through. I have a dresser that I painted a while back that has some new marks that have come to the surface, and I’m attributing that to the history of the wood. 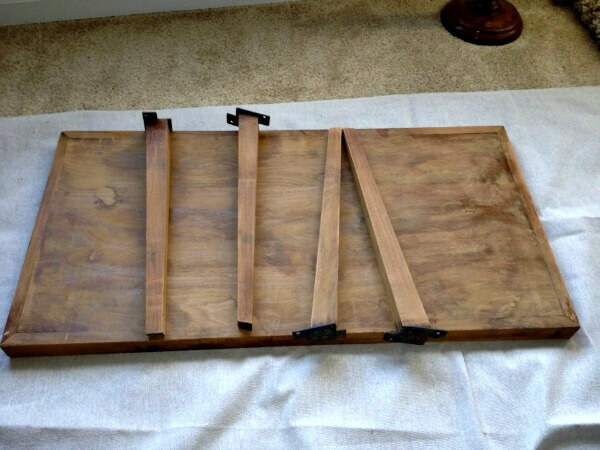 The dresser is not near as bad as this coffee table, so it will be okay as is. 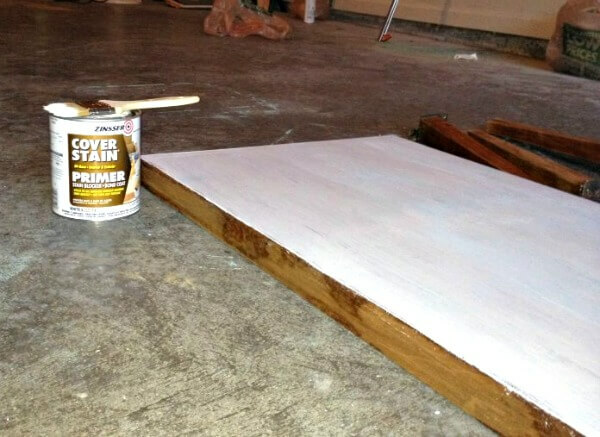 So instead of painting my beautiful design I had planned, I purchased some Zinsser Cover Stain primer and a chip brush (these are seriously the most handy and affordable brushes for oil based products) and spent my evening priming in the garage since the fumes would not have been tolerable in the apartment. If you want to distress your piece, you can also use Zinsser Shellac, and that will paint on clear, but still keep the stains from seeping through your paint. I was kind of bummed that I didn’t get to finish my project and that I wasted some of my chalk paint to discover this, but in the end, I’ll be glad it looks the way I want it to, without stains. It didn’t take much primer to cover this table, so one quart will last me many more projects I’m sure. Don’t get me wrong. I’m not knocking chalk paint here. I’m still planning on covering this with same paint I started with. I just want to let you know that it’s not fool proof. Sometimes you do have to go back to the old fashioned way of sanding and priming to achieve the look you’re going for. I can’t wait to show you the after picture of these tables. These were the tables hand built by my grandpa when he was in high school, so the late 1950’s. I’m sure they lived through a lot of my family’s memories, so I don’t mind taking extra steps to make sure they turn out nice! Update: Check out how this piece turned out after priming! UPDATE: I actually don’t use chalk paint anymore. Find out why here. And if you’d like to know what I do still use, download my furniture painting guide + supply list. Love ur ideas and the fact that not only did u make New Years resolutions, but u keot them. I just thought u might want to try sime of the Benjamin Moore products sinxe it sounds like ur in an apartment & u have the “smell” factor. I used their products & actually missed that “freshly painted smell”. LOL, I know but it was a room. It was like buying a new car & missing out on the new car smell! Anyway – they have crossed ivwr into stains glazes, etc. & u can opt out of smelliness and the ryoe of overwhelming fumes that can get u kicked out! Thanks for the suggestion. I’ll have to check it out! I am a rookie with painting. And I made a big rookie mistake. I knew the stain was bleeding through but I kept pushing to finish the dresser. Now I got poly on over my 2 coats of chalk paint and you can see all the bleeds. Well I am just going to leave it. The dresser is 40 yr old maple. Right after I finished I found out that it came from a smoking home. I’m guessing it’s nicotine that caused that much stain?! I just read that oil based primer will help with that problem. I learned a valuable lesson. You can always prime over whatever you painted and then paint again. That’s actually cheating though and will create more work for you if you ever decide to strip it or sand it down to the original wood in the future, but it would be a quick fix for now. Zinsser Shellac works good too to seal it and goes on clear! Hope it works out for you!